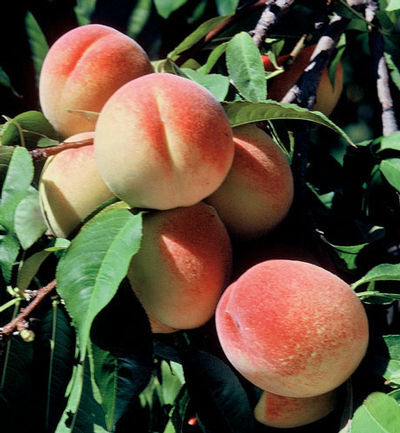 This dwarf peach is the most disease resistant peach tree available. Beautiful rose-red blooms in spring with large yellow fruit in mid-August. Eaten fresh but best known for canning. Full to partial sun, widely adaptable to different soil types. Self-pollinating. We offer Elberta 1"+ caliper in a 15 gallon container. Fertilize in spring with an all purpose fertilizer before new growth begins. Stake tree to keep it up right until established usually one year after planting then remove staking promptly.